Starter pack, 2 empty wine/champagne bottles for each and 1 medium sized item to share. Starter pack and 1 medium sized item. Must have 3 or more. Must add to one of our package. 1 Small box of items 10 items. Our staff must examine first. Week day appointments for groups of 10+ with a $300 minimum. Q: Can I have friends or co-workers in the room with me and share my package/time? A: Yes, a maximum of 3 people in the room at a time. Q: What is the purpose of this place? 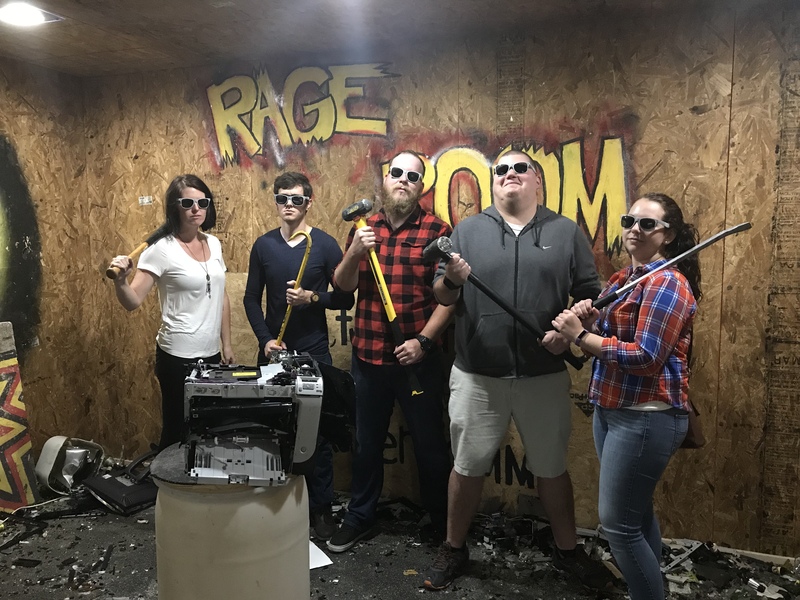 A: The main objective is to have fun and relieve stress and try something different with your friends and coworkers, we have had numerous customers tell us this was more satisfying than doing a martial art class, yoga, or other group activities. Q: What days of the week are you open? A: We are open only on Saturdays. Q: How long are the sessions? A: The time limit is 20 minutes per experience. 3. Arrive 10 minutes prior to your scheduled time. 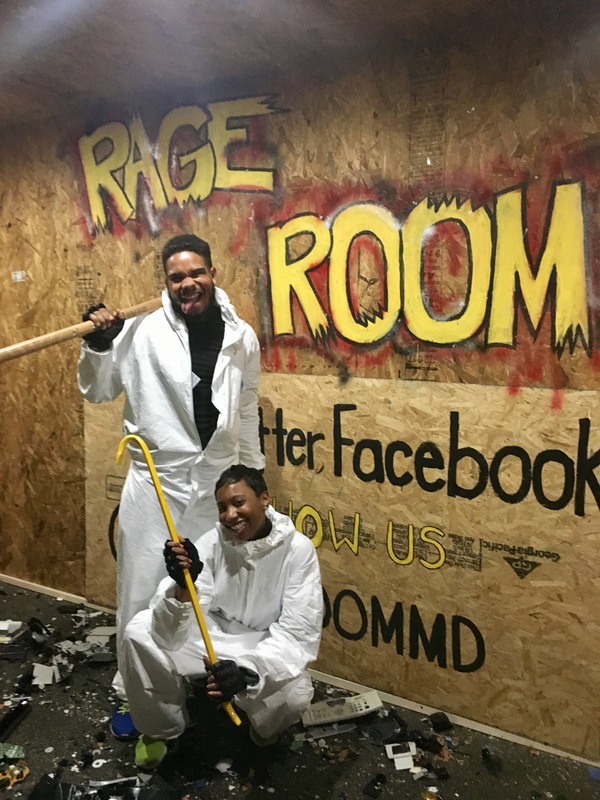 The Rage Room's address is 7335 E Furnace Branch Rd, Glen Burnie, MD, 21060. (Driving down Ritchie Highway, turn left at the light next to Popeye's and head down East Furnace Branch Road, the Rage Room will be on your left). Located on the lower level, below Ready 2 Drive Driving School. Copyright © 2019 Rage Room of Maryland - All Rights Reserved.